Whether it's on American soil or a global competition, UCD's Lark is proving that there's no stage they can't compete on. 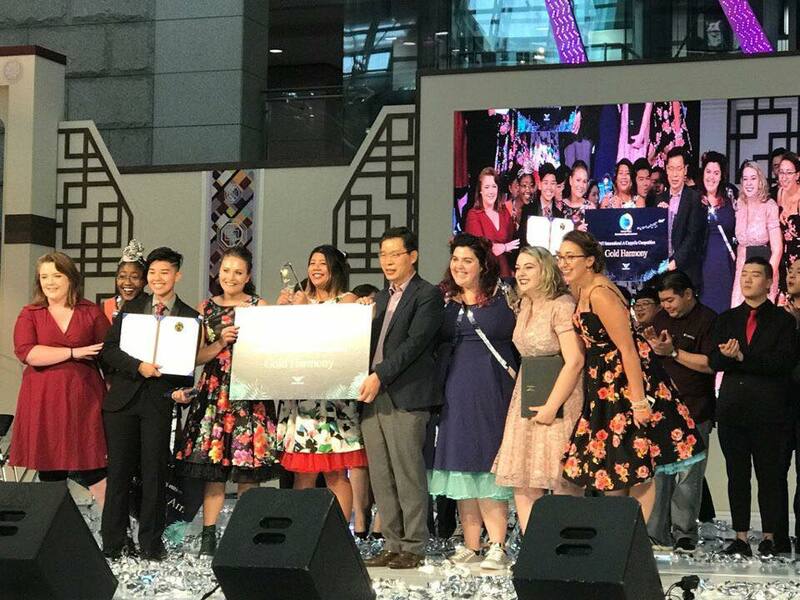 Earlier today, the all-female vocal band from the University of Colorado at Denver took home the coveted crown in this year's Incheon Airport World A Cappella Competition. The competition is part of a cultural event regularly held during the summer in South Korea's largest airport, located in Seoul. The airport has gained both local and international attention as being the world's leading cultural airport, which often holds live events from music to youth programs. UCD's Lark has gained fame in the a cappella community in the last few years with their innovative, story driven performances, which have earned them first place honors in such competitions as Boston Sings and SoJam. The all-female powerhouse has quickly risen among the ranks as one of the top groups in the collegiate aca-scene. "We won!!!! We are shocked and amazed and grateful! We also won the award for best arrangements 💛 thank you to the amazing groups we met and the new friends we made!!!" While we anxiously await the release of their award-winning set, enjoy their 2017 VoiceJam performance from this past April in the video below.